Inspiration in my sink! I love the color and the markings left behind. Spring 2010 print? 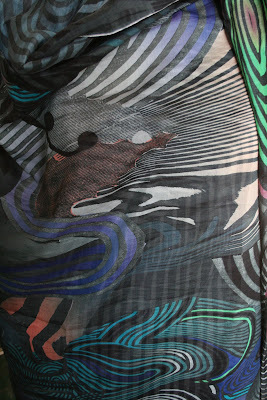 One of the new prints for Fall 2009. Still needs to be over-dyed with some color. 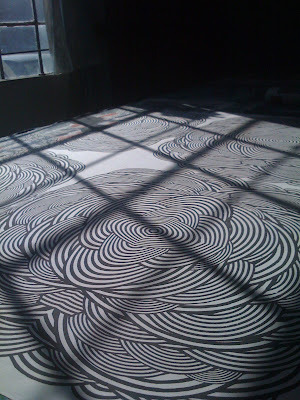 I love the sun coming through my one studio window. 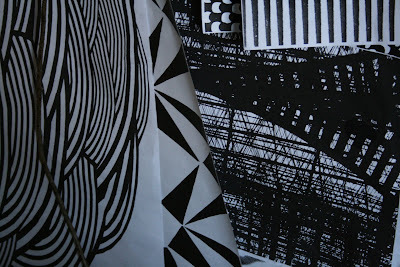 A few images of test screens for the fall 2009 collection. 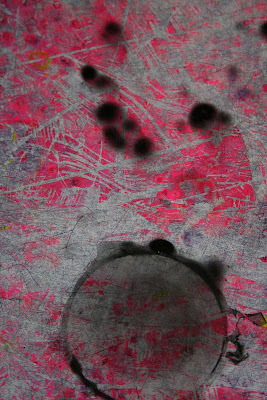 I wanted to use circular shapes in the prints. 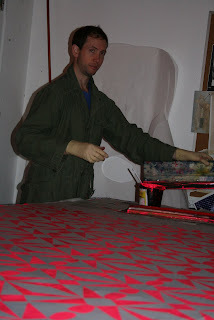 My husband Gabe helping me print yardage for the Spring 2009 collection. I love his snazzy suit!